Native mobile applications are those which have been developed based on the iOS and Android SDKs. Like all other apps, these too need to be tested before made available for public use in order to ensure that they are devoid of major faults or bugs which might cause people to stop using them. Following are a list of automated testing tools which you can use to test your native mobile apps with ease and reliability as they provide you with highly accurate feedbacks. Calabash (Android and iOS): Comparable to the likes of Selenium, Calabash (Android and iOS) is one of the best automated mobile testing tools which understands and tackles the difference between web app and mobile app smoothly. Frank (iOS): With the help of Frank (IOS), you can now create your very own text test/acceptance tests/requirements tests which can be executed with ease and detailed test results can be easily obtained. It also allows you to use an app inspector. MonkeyTalk (Android and iOS): Be it simple software tests like smoke test or complex texts which are driven by various data profiles, MonkeyTalk makes everything super easy on all sorts of systems like simulators or real devices. Robotium (Android): Native or hybrid apps, Robotium (Android) is up for testing all sorts of mobile apps. You can write your own tests and can apply them to span them for multiple Android applications at the same time. iOS UI Automation (iOS): You write the test scripts and iOS UI Automation (iOS) applies them to test the developed app so as to make it as error free as possible. You will get regular log information during the test procedure from the tool. Ui Automator (Android): Ui Automator (Android) specifically checks the native mobile app for the user interface and the ease with which the customers are able to handle the apps on touch screen devices. IOS-Driver (iOS): Completely workable with the likes of Selenium and other automated app testers, iOS-Driver (iOS) helps in the testing of both native and hybrid apps in order to detect the probable flaws in the developed apps in order to avoid customer’s dissatisfaction. Selendroid (Android): In case of Selendroid (Android), the tests have to written with the help of Selenium. It helps in testing both native as well as the hybrid apps and drives off, especially the user interface of the apps. Keep It Functional (iOS): KeepItFunctional (iOS) is an automated testing tool for native apps which pays special attention to the performance issues of the iOS apps. This framework specifically leverages the integration and utilises XCTest testing target to build and perform the specific tests. Appium (Android and iOS): If you are looking for a automated testing tool for your mobile apps which is written on codes with an open source then you must try Appium (Android and iOS). 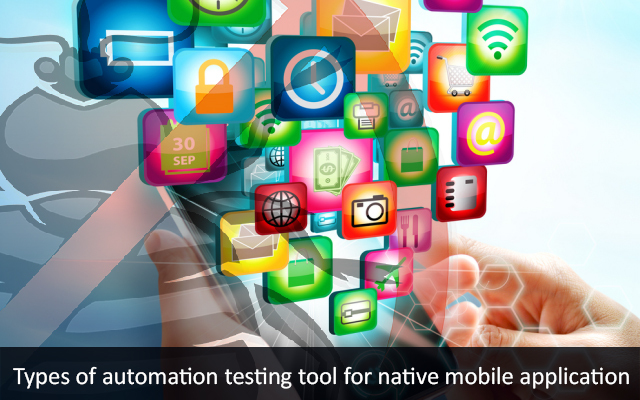 This is one of the best automated testing tools which test native apps perfectly. These are some of the best automated testing tools which can be used for the detection of the probable flaws or bugs in the native apps of mobile which you have developed. The highly precise test results can be used for error rectification so that superior products are delivered. This entry was posted in mobile app testing, mobile automation testing and tagged automation software testing, automation testing, automation testing company, expert mobile app testers, experts in software testing, hire mobile testing experts, mobile app testing, mobile testing company, mobile testing services. Smoke Testing – How and When to Perform?